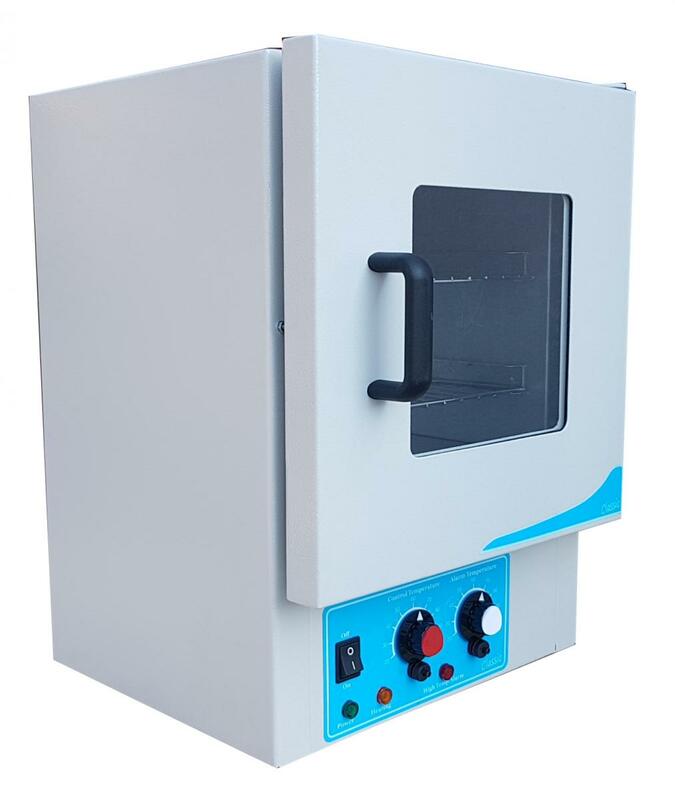 The GENLAB Incubator range offers highly efficient, reliable and cost effective units to suit most biological analysis, research and general laboratory applications. The exterior is constructed from, easy clean powder coated paint, sheet steel.Interior chamber in mild steel coated with aluminium (CLAD).Stainless steel chamber available as an option. Fixed shelf runners and removable chrome plated wire grid shelves. Top vent fitted with a clip to hold a mercury-in-glass thermometer. Solid steel door as standard. Alternatively a door with an integral viewing window (max. 60°C), or a double door, steel outer and glass inner, is also available.